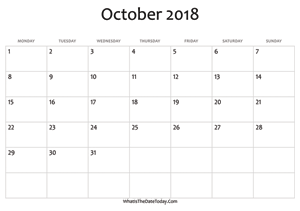 Another 2018 Printable October Calendar with Notes space. 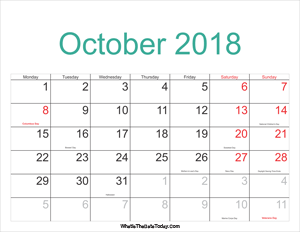 This calendar start with monday include weekend highlight and notes space at the right of it. Version: 2018 US calendar with notes space at right. List of october holidays, local holidays and national observances. Looking for other october calendar in a different style or layout? We have a large variety of 2018 october calendar templates for Word, Excel & PDF to download and print. 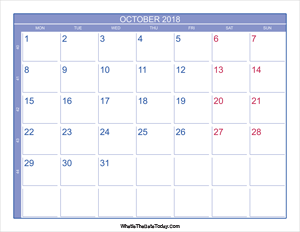 october 2018 calendar printable with holidays. 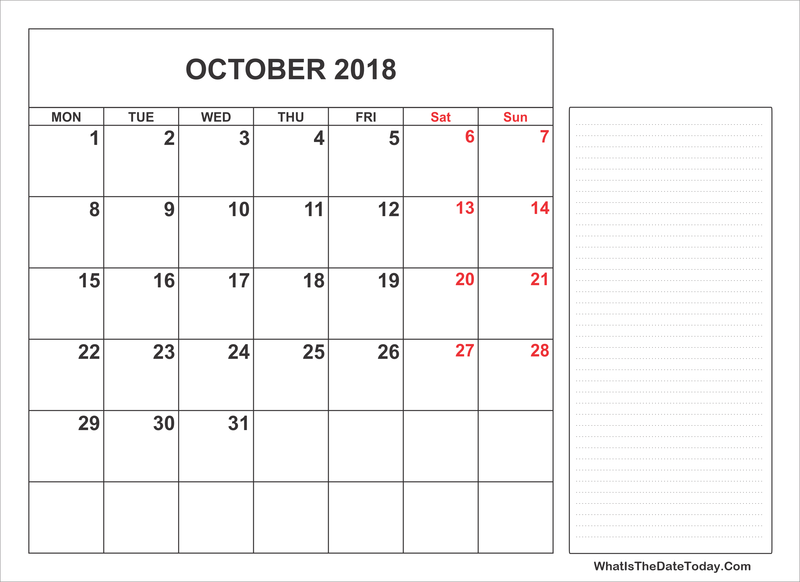 2018 october calendar with week numbers. blank october calendar 2018 editable.